12.0" x 12.0" stitched on 14 count. 9.3" x 9.3" stitched on 18 count. 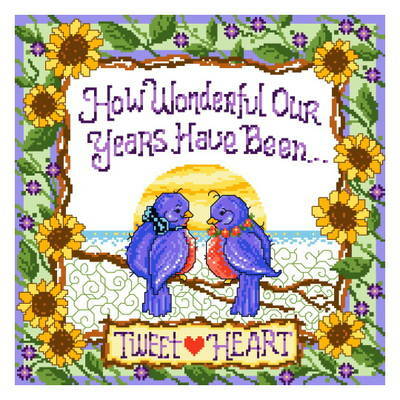 Tweet Heart cross stitch pattern... A sentimental journey for the young and old.